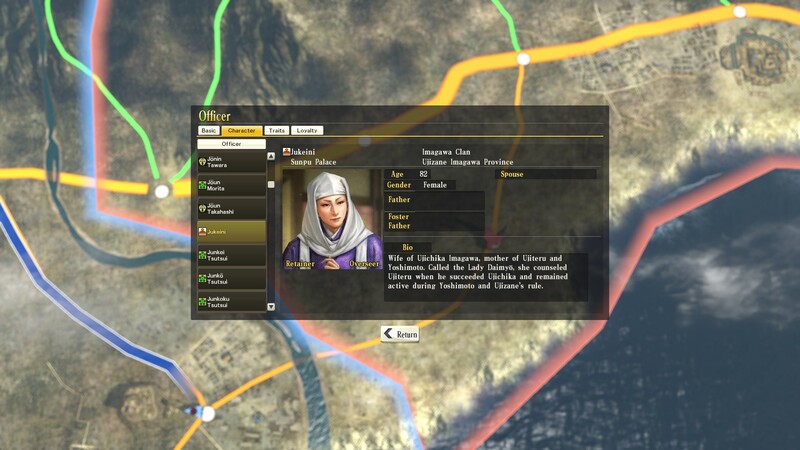 In Nobunaga’s Ambition: Sphere of Influence, opportunity comes in many forms. When my Tokugawa clan was small and insignificant, sandwiched between the rival Imagawa clan and our mutual ally Oda Nobunaga, opportunity came when the Imagawa let their alliance with Oda lapse. My armies marched against Imagawa — and true to the Oda/Tokugawa pact, Nobunaga himself came south to fight by my side. 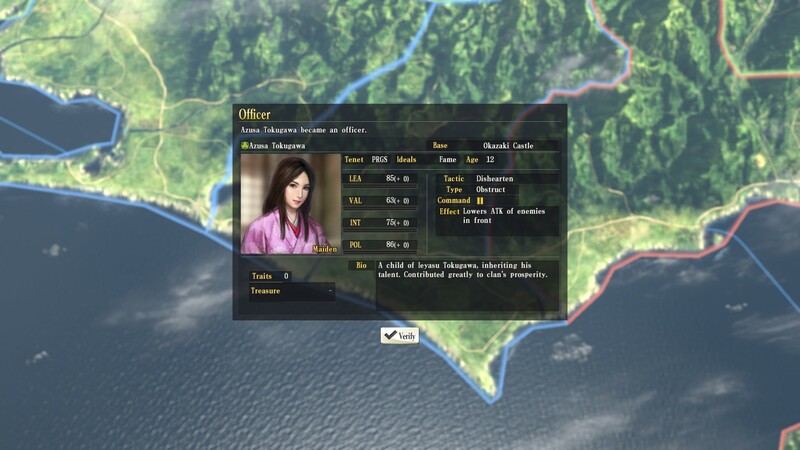 When the Imagawa were defeated, and I found myself locked in bloody stalemate against the much larger Hojo clan for 15 years, my hopes turned to an alliance with a third power — the Takeda. 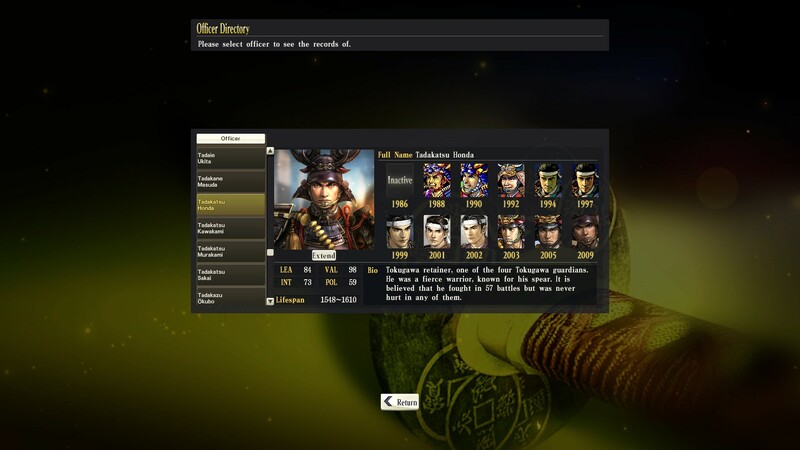 When scripted historical events derailed the Takeda alliance — not once but twice — my first reaction was frustration. My second reaction was to think outside the box. The Oda were pressing the Takeda further away. The Hojo were quiescent. Why not bury the hatchet with Hojo and descend on the distracted Takeda? … and another event popped up. Oda Nobunaga, my faithful ally from the start of the game, was dead, murdered by a treacherous vassal. 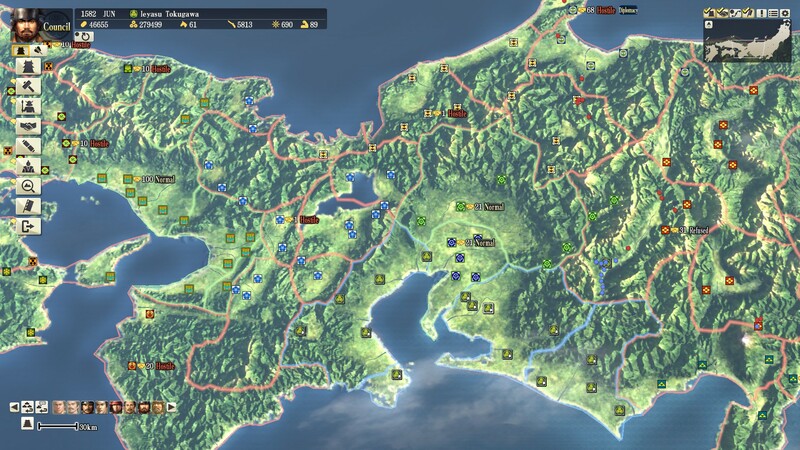 The Oda domain – the huge blob that both anchored my northern flank, and blocked my expansion – dissolved, its settlements going to Nobunaga’s kinsmen and generals. The game has gone from “deadlock” to “wide open”. Where I had been on the verge of restarting, now I see — opportunity. 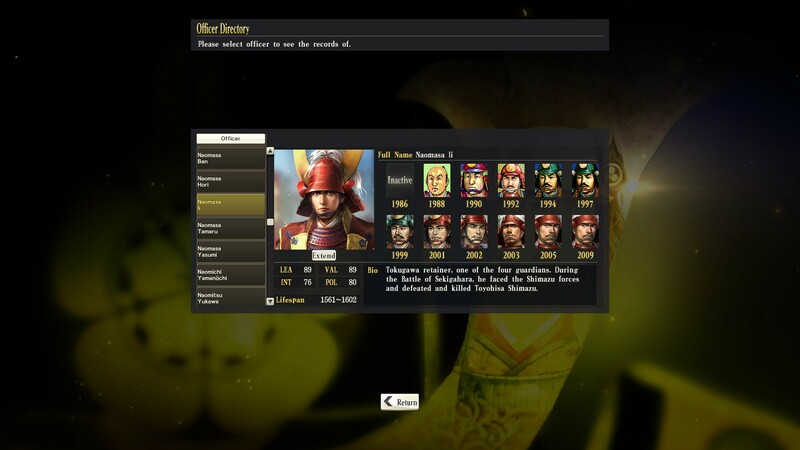 After spending the weekend with Nobunaga’s Ambition, my impressions are positive. I’d say it’s a very promising grand strategy game, combining solid execution, interesting mechanics, and a great aesthetic. So far, worth what I paid at launch! My main question is how well the mechanics will scale to large empires, the traditional 4X/GSG late game problem – my own empire is quite modest. * NA’s often-deliberate pacing seems closer to Paradox than to a Creative Assembly game — there have been long stretches when I lined up allies, built up towns, waited for my manpower to replenish1, and kept an eye out for my chance. * And I find myself remembering my officers’ feats. For instance, this is Azusa — a randomly generated daughter of Tokugawa Ieyasu’s3. She has grown into a capable officer, whom I appointed to command one of my most important castles. Her contingent almost — ALMOST — broke the deadlock against the Hojo. * The game contains a fair amount of automation, perhaps comparable to Distant Worlds or Hearts of Iron 3 — with a couple of clicks, I can build roads; send out diplomats to multiple minor factions; and order armies to converge from multiple cities on a single target. I find this effective at dealing with turn-to-turn busywork, and it significantly cuts down on the work needed to set up a military campaign — Europa Universalis IV could do with something like that! Where an “interesting decision” is required, such as allocating my finite number of building upgrade slots, I prefer taking care of things myself. * Instead of trying to create unpredictable, ‘human’ computer opponents, diplomacy works on a predictable inputs->outputs system. By sending an ambassador, and investing time & money, the player builds up “trust” points. 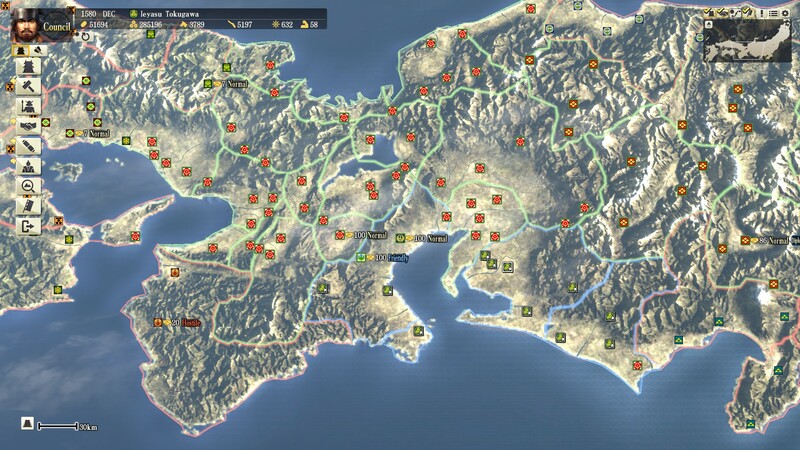 These points can then be cashed in to obtain an alliance or assistance with a campaign. For a single-player game, I think this is the right approach 4.